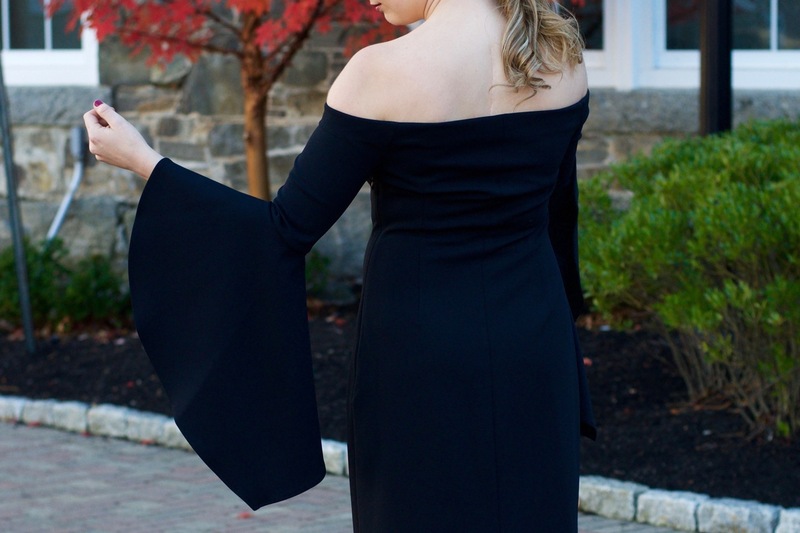 When I found this off the shoulder dress through Octer, it was game over. I saw my girl McKenna Bleu rocking a VERY similar pink version at NYFW by Milly. I swooned over the gorgeous designer dress and then quickly came back to reality when I saw that it was $400+. What’s a girl to do when she has designer taste on a beer budget? Story of my life. 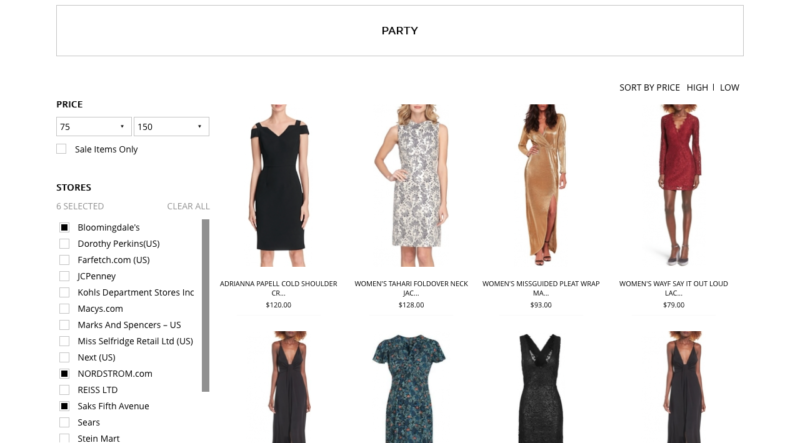 All of the categories are broken down into sub-categories, which makes finding the perfect dress really easy. 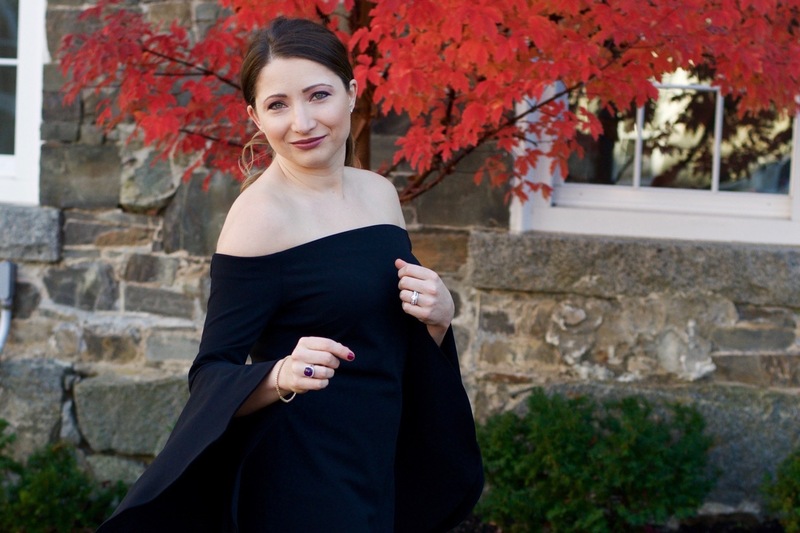 I picked “party” dresses since I was planning an outfit for a holiday party. 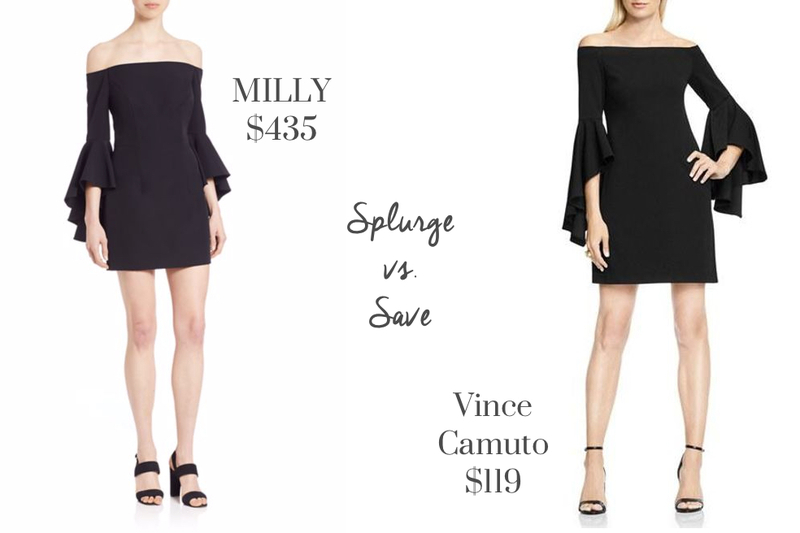 I was actually searching for a party dress when I found this off the shoulder dress. I really like that you can choose by occasion, type or hem length. So many options for easy browsing. Once you click your category, you can search by price range and retailer. Also, as you scroll down the page, the options keep loading, which for me is so nice because I hate clicking “next page” and waiting 3 seconds for it to load. First world problems, I know. 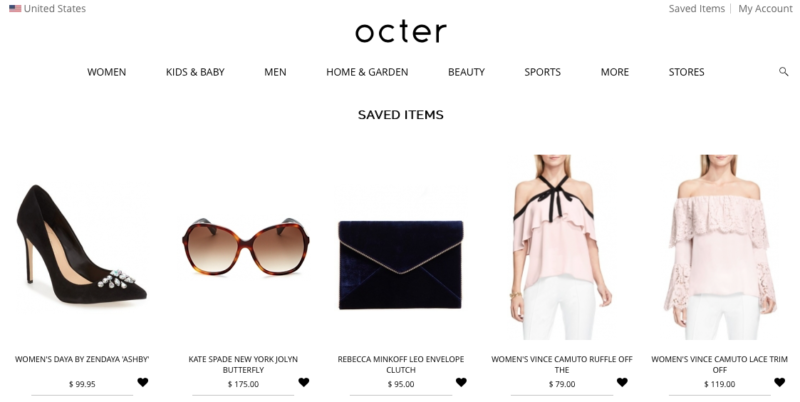 When you click the text link for the item you like, Octer will give you an “alternative products” view as well, which can be dangerous. It also shows you if the item you’re browsing is on sale at other online retailers. Don’t you hate when you find something on Nordy’s only to find that it’s on sale at Bloomie’s? I don’t have time to do all that research, so this is a life saver for finding the BEST price. Side note: look at all those amazing off the shoulder picks!! 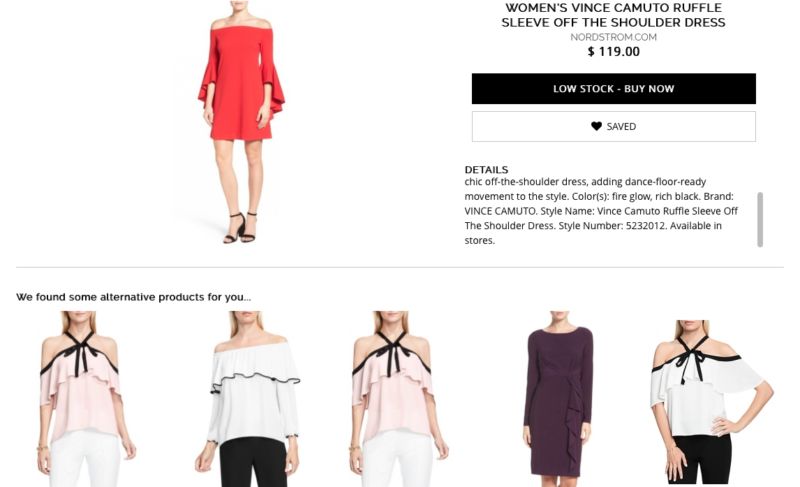 You can make a virtual wish list and “heart” items that you might want to purchase later on (I’m totally into off the shoulder this season). 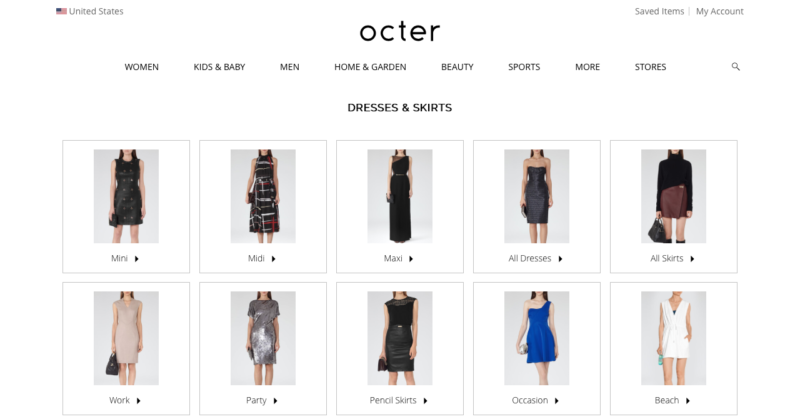 Octer is like a search engine for fashionista’s, so when you click the photo of the item you want to buy, you purchase it through that retailer’s website. Everything is searchable in one place and then you order directly from the retailer you know, love and trust. I think that’s a pretty cool business model.